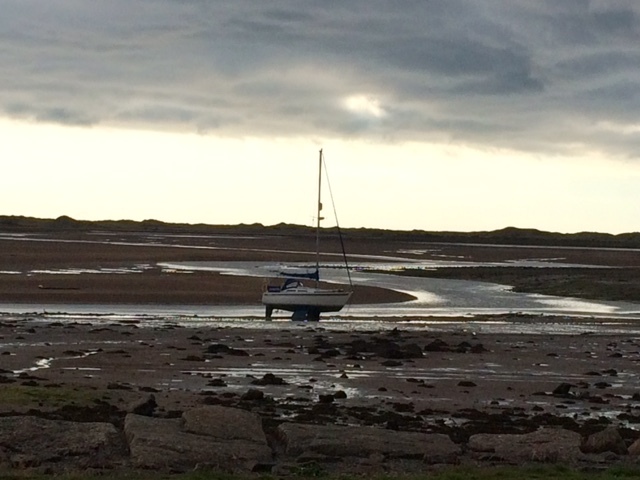 Just back from our third trip to the Camping & Caravanning Club site at Ravenglass. We love this area and site and will no doubt return many times. The staff here are always so friendly too. Check out our earlier blog entry from June 11th last year for details of our last visit as well as some amazing sunset photos! 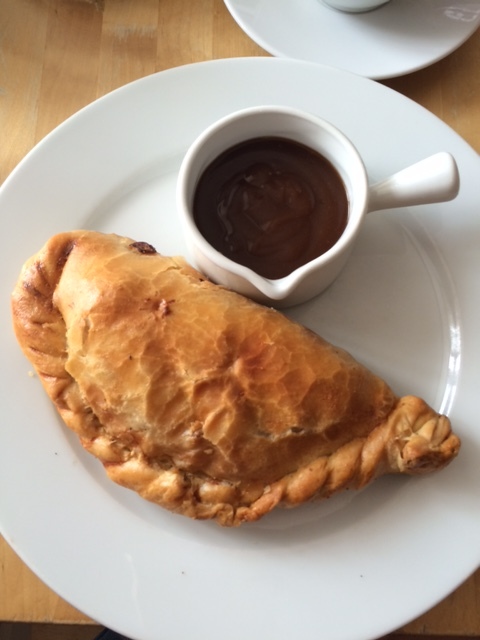 On our way to Ravenglass, we stopped off at another favourite, the Village Bakery Cafe in Broughton-in-Furness and enjoyed a scrumptious cornish pasty. The campsite was almost full and they make the most of the space. 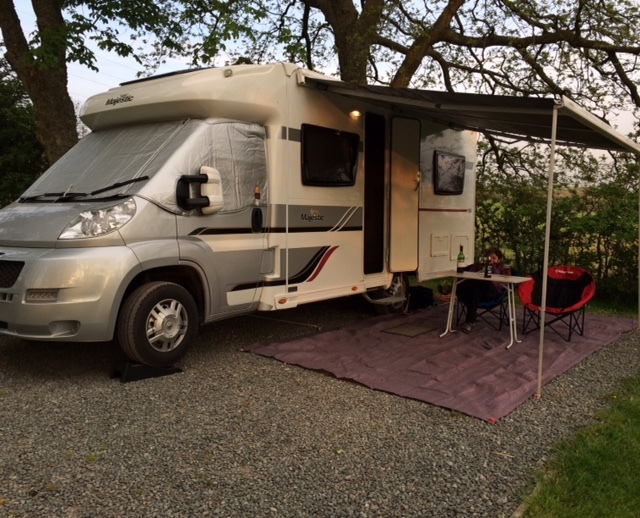 We were pitched at the top end of the site (14) with good views and fields to the rear. It’s a very peaceful site. 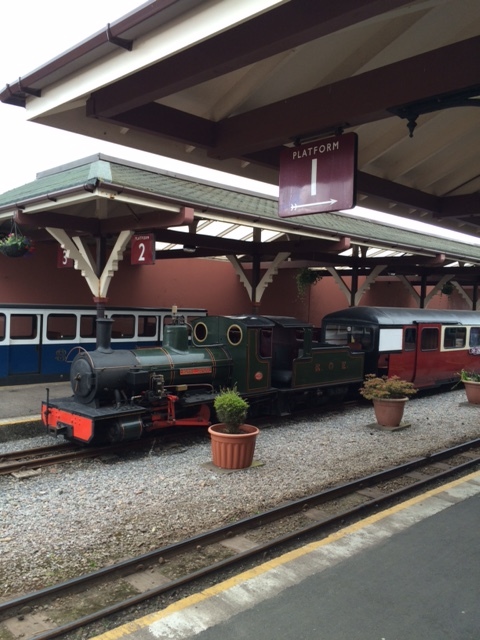 You occasionally hear the soothing sound of the steam trains travelling to and from Ravenglass station, just a 5 minute walk away. The day after arrival we took the Ravenglass & Eskdale steam railway trip again to Dalegarth to cycle the Eskdale trail again. It’s a lovely cycle ride of approx. 9 miles over varied terrain of rocky paths, grass, road and the most challenging part is a steep uphill trek to Muncaster Tarn. You get off and push for this bit, it’s too steep to ride, and just take it at your own pace. Don’t forget to look backwards as you climb though for the great views of Scafell Pike. At the top you’re rewarded with the tarn and very welcome downhill ride from there. During the cycle trail we stopped off at a few watering holes (3 in Boot before we even started the trail!) and throughout the day between us we sampled several real ales – Nettle Thrasher, Stateside IPA, Ramsbottom, Cumbria Way, Langdale, Seven Brothers IPA, Black Sheep, Bluebird XB … and a half a Guinness. We sat down by the estuary before returning to site. We weren’t blessed with an amazing sunset as we had been last year, but hey ho, it was still a lovely evening with a beautiful view. Another great trip. 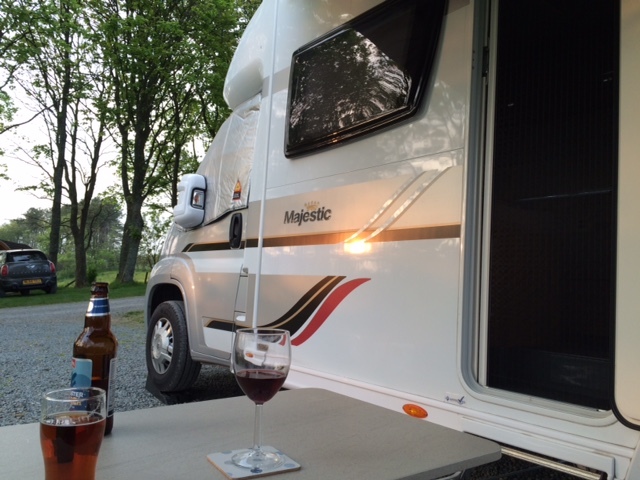 Next stop is our first to Appletreewick in the Yorkshire Dales.